What about measuring beyond reading and math scores? 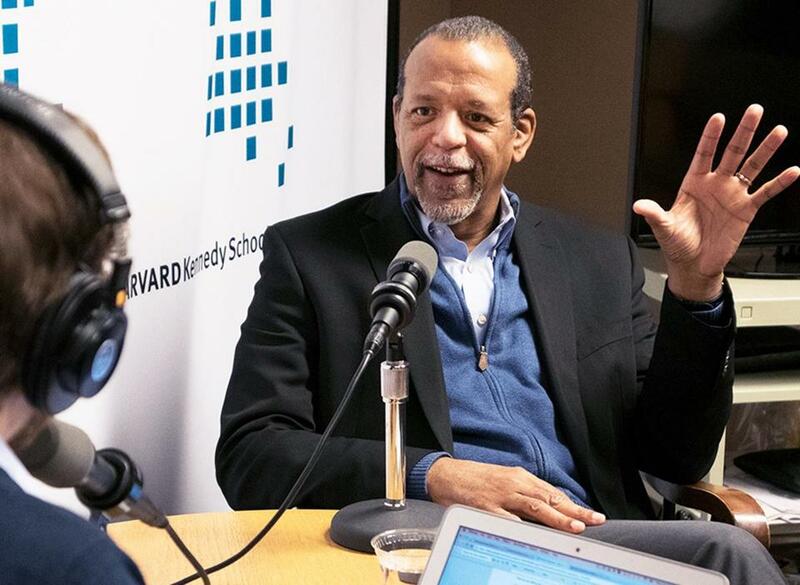 Ronald Ferguson, the faculty chair of Harvard’s Achievement Gap Initiative, discussed education policy with the Harvard Kennedy School PolicyCast. The idea that there are achievement gaps in the US school system is not new, but growing inequality between the well-educated and those who have been left behind — so to speak — suggest that the consequences of those gaps are more pressing than ever. Much of the debate about education policy these days centers around the role of standardized tests, but if the goal is to narrow the gap in workforce preparedness, are better scores on subjects like reading, writing, and math the only things we should be focused on? This week on the Harvard Kennedy School PolicyCast, Ronald Ferguson, the faculty chair of Harvard’s Achievement Gap Initiative, discusses his latest report detailing the importance of going beyond subject-level testing and measuring students’ sense of agency — that is, how much they believe that they are capable of being successful. The following excerpts have been edited for length and clarity. You can listen to the full interview in the SoundCloud player above, or on iTunes. MC: How do you define the achievement gap? PARCC promises to provide even better educational results for Massachusetts. Read: Ideas: Is the Common Core killing kindergarten? RF: There are actually lots of achievement gaps, but there are differences between groups in the ways that they perform on measures that we care about. Typically, we define it in terms of standardized test scores, but we can define it in terms of grades or even attitudes in various important dispositions. MC: Why is it so important right now? RF: The gap is important because we care about equity in this society for all types of reasons. We also care about excellence in general, and to the degree that we have some groups that are not performing as well as other groups, it’s got implications for the entire society. We’ve got a long history in this society of both racial and socioeconomic equity. We know that different groups have had different access to opportunity over time and so it’s also a matter of fairness. Lately there has been new research showing that we’ve got growing inequality on the basis of parental education and socioeconomic background. In fact, we’ve had stable or, perhaps, narrowing racial academic performance and achievement, but widening differences by family background, and all these are things that we worry about. MC: Is this something new or is it just something that we’re tracking better now? RF: We have always had disparities in this society. So it’s not that we’re doing worse than we ever have before — we’re probably doing about as well as we have before — it just matters more now. People can’t earn a living if they don’t have the types of reading, math, and reasoning skills that we’re usually focused on when we talk about gaps. The socioeconomic gaps are probably worse than they’ve been in a long time. Bob Putnam’s recent book talks about growing inequality. Other people have been doing more statistical work on that, so there’s evidence that too much inequality is just bad for societies, so it’s justifiably becoming more of a priority. MC: We actually had Professor Putnam on earlier this year; he spoke about this gap between those with parents who have gone to college and those without, and how that is a major divide in the US right now. RF: Yeah. Let me emphasize though, we need to get past the idea that everybody has to have a four-year degree. We need “high school plus” — graduate from high school and get some type of certification for the world of work. As long as we can get most people there, we’re going to be in decent shape. MC: What can be done to lift up the prospects of those who aren’t going to college? RF: You can start from birth. Socioeconomic, gender, and racial gaps are clearly visible by the age of 2, and traceable to early childhood life experience. Beginning in upper elementary school, we ought to start systematically giving young people images of possible selves. There’s an interesting program in Boston, run by Patricia Spence, called, “They Made It, So Can I.” They take people into fifth-grade classrooms to tell their life stories, beginning when they were in fifth grade, and they have a variety of people ranging from the mail carrier and truck driver to a brain surgeon. So every month or two, for fourth, fifth, and sixth grade, somebody comes through, talks about their lives and how they got from being a 10-year-old in fifth grade, to being a grown-up with a job and a life. We need to give kids images of how it matters that they persist and do their best toward whatever goal appeals to them, whether it requires a college degree or not. This new study focuses on agency, which is young people feeling a sense that they can make a decision, and follow-through, and be successful. It’s the capacity and the propensity to take purposeful initiative. We can build that much more purposefully as kids pass through school. I think there’s a lot of hopefulness, but we will not get there by accident. It’s going to be on purpose that we work systematically as a society, ideally with leadership coming from all kinds of directions to get where we need to go. MC: This study that you’ve recently authored is called, “The Influence of Teaching Beyond Standardized Test Scores: Engagement, Mindsets, and Agency.” There’s a constant conversation out there about standardized tests: whether they’re good or bad, or how much time we’re spending on them. You see them as supplemental. They’re not necessarily bad, but they’re not the end all and be all of measuring progress. RF: If I could go out and just dictate how we’re going to think about this, one big heading would be, “the development of academic skills,” the other big heading would be, “the development of agency.” All our professional learning for teachers and our ideas of what educational productivity looks like would prioritize both these things. And both are important. I got interested in test scores at the end of the 1980s when we had 10-year-old data collected through test scores when young people were ages 14-21. Ten years later, they were 24-31, and you could drop a test score in a wage equation and knock out most of the black/white hourly earnings gap. The skills that those tests were measuring are skills that people sell when they go into the labor market. So I spent a lot of time over the last 20 to 25 years thinking about how to close skill gaps measured by test scores. But more recently, like a lot of people, my attention has been pulled to the fact that other things matter too. I designed surveys to understand what students were actually experiencing in classrooms. We were interested in student engagement, student mindsets, and what teaching looked like from the perspective of students. MC: The theory behind standardized tests is that what the students know is an indication of how well the teachers are doing. 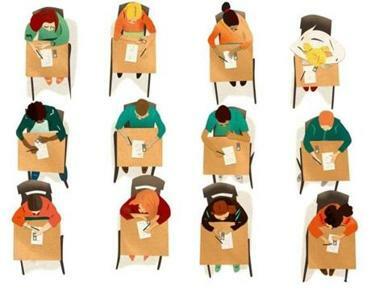 How do you measure how teachers are doing without using standardized tests? But in addition to that, we asked questions that get at what people are calling “mindsets,” that have to do with growth mindset and conscientiousness and future orientation. MC: Tying this back to the idea of agency, is it true that students today need to be inspired more than students maybe 10, 20, 30 years ago? RF: I think students have always needed to be inspired, but 30 or 40, 50 years ago, there were more and better jobs for people whose aspirations were pretty limited. You could do any of a number of different things without needing many academic skills. Now, even to work in manufacturing, you need pretty good math intuition because a lot of the manufacturing is computer-guided. Aspiration, inspiration, and agency are all the more important because you can’t be passive. We have left it to chance whether students are given any explicit direction in that. We’ve assumed parents will take care of that; the family, the community will take care of that. And when you come to school, you learn to read, write, and reason. I think if we pay attention to each side, explicitly and purposefully, we may end up with a blend of activity that will be different from if we didn’t pay attention purposefully. Imagine one year all your teachers were emphasizing to you that you’ve got to pay attention to the quality of your work. Beginning next school year, if somebody asks you, “Are you the type of person that pays attention to the quality of your work?” You say, “Yup, that’s the kind of guy I am.” Because it’s been reinforced in so many different ways.